The new Official Guide books are here! Aren’t you excited?!? Okay, I realize that most people probably aren’t as excited as I am. 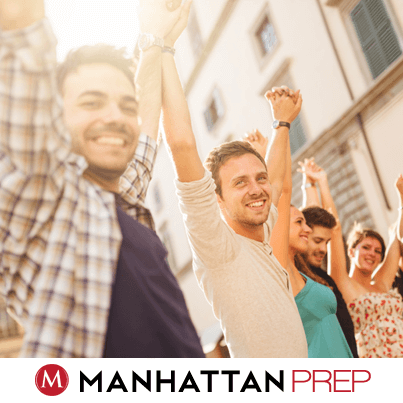 But there are still some interesting and useful things to know about these new books as you get ready to take the GMAT. So let’s talk about it! 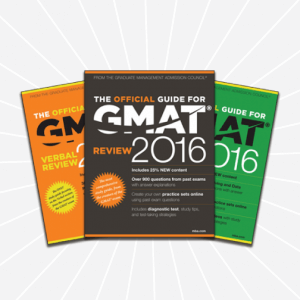 In this installment, I’ll discuss additions and changes to quant sections for The Official Guide for GMAT® Review 2016, aka the OG or the big book. Keep an eye out for later installments, in which I’ll discuss the verbal section of the big book, as well as the Quantitative Review and Verbal Review books. I’ll also be providing you with a list of the new questions, in case you decide to study from both the 2015 and 2016 editions. If you haven’t already bought your official guide books, then do buy these latest editions—sure you might be able to get a discount on the 2015 editions, but since you have to spend money anyway, you might as well work from the latest and greatest. If you have already bought the older editions and are debating whether to buy the new ones, too, then you’ve got a decision to make. On the one hand, there are a lot of great new questions in the 2016 editions. On the other, the 2015 edition already has a ton of problems; you may not need even more. If it were me, I’d wait until I’d used up the ones in the materials I already have. If I still felt that I needed more beyond that, then I’d consider getting one or more of the new books. Approximately 25% of the questions are brand new, and there are some beauties in the mix. As I worked through the problems, I marveled anew at the skill with which the test writers can produce what I call elegant problems. On the quant side, I saw example after example in which the problem can be solved with little to no computation as long as you can decode and understand the fundamental concept underlying the problem—that’s the real test-taking skill!